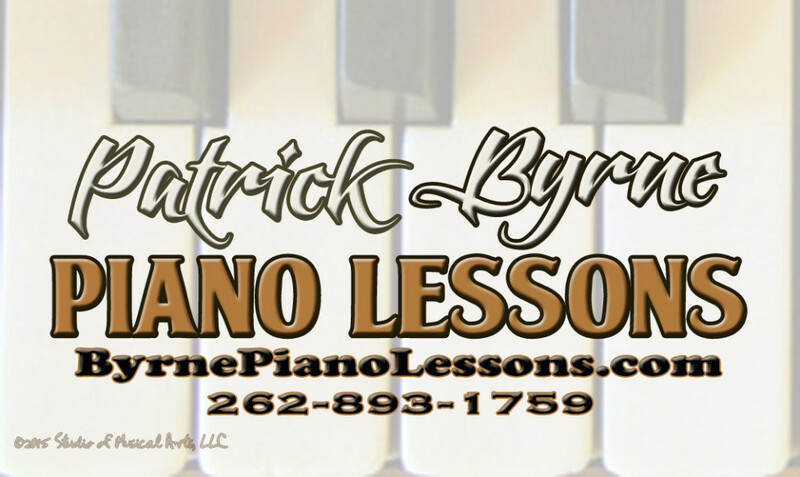 The Studio of Musical Arts, LLC in the Town of Delafield, Wisconsin, is the home of professional pianist Patrick Byrne. 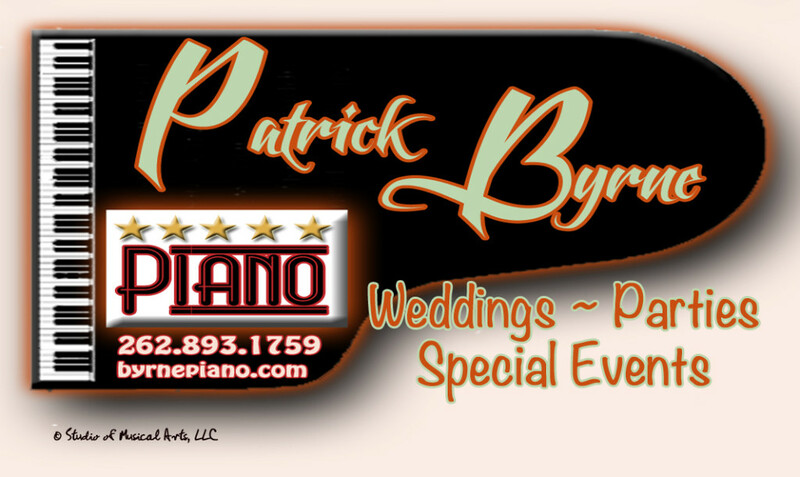 If you are looking for a great piano teacher or an awesome pianist for your Wedding, please go to one of Pat’s specialized sites shown below. Pat offers private piano lessons for students of all ages and levels. Classically trained and highly rated as a contemporary pop piano player, Patrick Byrne offers his students the best of both worlds. 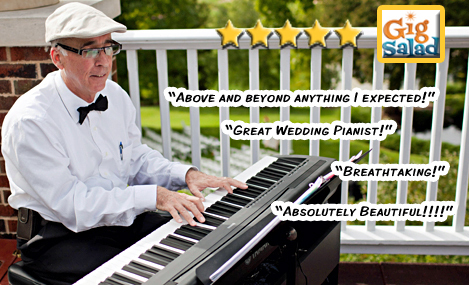 Pat is in great demand as a piano player for Wedding Ceremonies and Wedding Receptions. Pat plays the pipe organ as well as the piano. He also has a portable keyboard for venues that lack an instrument. Brides are encouraged to book Pat early to avoid disappointment. As way for Pat to share his many years of experience with playing for Weddings, he has a free Wedding Music Made Easy™ Podcast Series that will give Brides all of the information that they need to select the music for their Wedding. Filled with tips and ideas about selecting the music for a beautiful Wedding, the Wedding Music Made Easy™ Podcast Series will help Couples understand the traditions and trends of today’s Wedding Music. The more that you know, the better you will be able to create the Wedding of your dreams. Pat is also available to play for your Party or Special Event. Patrick Byrne Piano ~ Photo courtesy of John Hainstock Photography. "I've had a really great time "working" with you. You've really taught me a lot.... You've been a great teacher! Thank you sooo incredibly much." "You have made an indelible mark on my heart and my daughter's. It was our good fortune to have had your guidance, insight, creativity and teaching... She is better because of your influence in her life.."
"I cannot ever thank you enough for being such a great teacher! Thanks so much!"